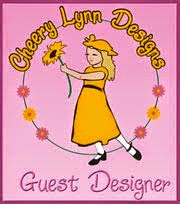 Hi, Nancy Hill for Let's Craft and Create design team. "enTWINEd (Use Twine)". I hope you join us this month. We enjoy seeing all of the wonderful cards and crafts posted each month. 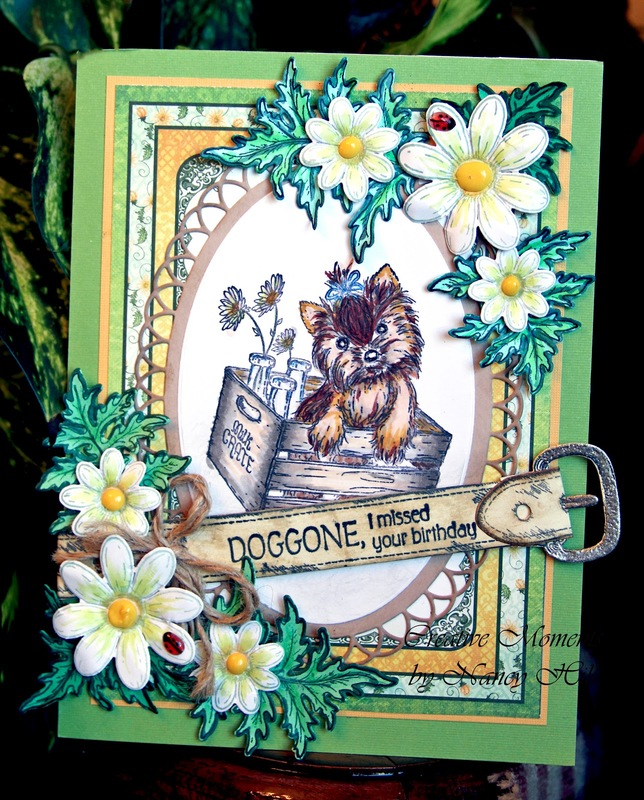 I am loving the Heartfelt Creations collections and excited to share with you my card using the Heartfelt Creations Pampered Pooch stamps and dies along with other Heartfelt Creations supplies. Please review my tutorial for making the lady bugs by clicking HERE. I used the NUVO Crystal Drops Strawberry Coulis this time for the lady bugs. Apply Copic Marker Black or black marker for the head and dots on the lady bugs. Let dry a few hours. In the meantime, stamp the dog with black ink and color it with Copic markers. Centering the oval die in the Heartfelt Creations Eyelet Oval die set on the stamped dog and die cut. Cut the Heartfelt Creations Eyelet die with cream card stock and sponge on lightly the Ranger Distress Ink - Gathered Twigs around the Heartfelt Creations Eyelet Oval die. Adhere the oval on the eyelet die cut. Assembling: Cut 6" x 8" Bazzill (Easter Grass) card stock and adhere to card. Cut 5 1/4" x 7 1/4" Bazzill (Banana Split) card stock and adhere to green card stock. Cut 5 " x 7" Heartfelt Creations Arianna Blooms card stock and adhere to yellow card stock. 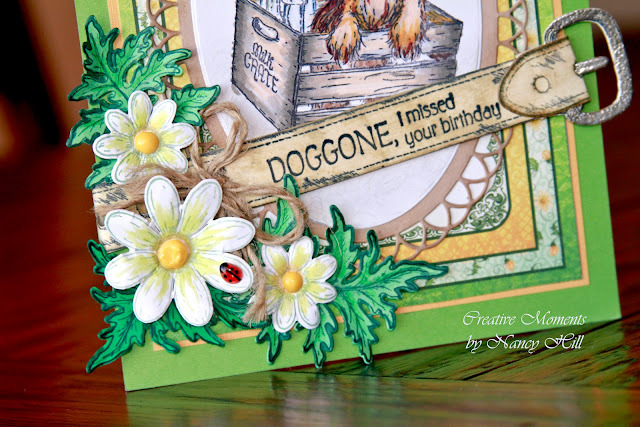 Adhere the Heartfelt Creations Eyelet Oval with the stamp dog on the Arianna Blooms card stock. Stamp the dog collar with black ink and die cut. Sponge the dog collar with the Ranger Distress -Gathered Twigs ink. Stamp the sentiment on the dog collar and apply silver embossing powder to the buckle. Adhere the collar to the card. Distress Stamp the daisies with the green ink and the leaves with black ink and die cut. Mold the flowers and leaves using the shaping kit. Apply Copic marker GY23 to the daisies and then apply NUVO Crystal Drops Dandelion Yellow to the center of each daisy. Adhere to the card as shown on photo. Check out the other Let's Craft and Create designers. 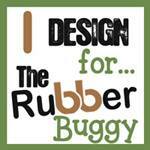 I hope that I inspired you to create a card with these wonder Heartfelt Creations supplies from The Rubber Buggy.com.